Delivery delays that drag on and on | What Car? We've been contacted by car buyers who've been waiting up to a year for their new cars so just what can you do, and what are your rights? Here's our advice. We've heard from Hyundai, Kia and VW buyers who've been left waiting for months. Establishing a realistic delivery date with the dealer is the first step, so ask for a build slot or order number to ensure there's a fixed schedule for your car at the factory. If a dealer can't provide you with this crucial number, they could be making promises they can't keep but what can you do if the deadline you've been given is missed? Dealers are unlikely to agree to financial penalties being introduced if they miss your delivery date, but you should be able to insist that any trade-in value you've agreed for your car is honoured further down the line. We have heard of some dealers that point to small print on contracts and increase prices during protracted delivery windows. This practice is very rare, but be sure to check your contract. 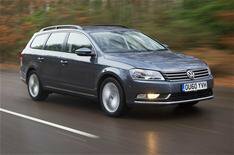 VW has confirmed that customers waiting for delivery should not face an increase in price. Asking the dealer and importer for compensation and a loan car while you wait is a sensible course of action. Hyundai has offered 500 worth of accessories or the option to switch to another car it's also going to announce further compensation packages on Monday. The Motor Industry Code of Practice also has a New Car Code and it should be able to offer advice to buyers on 0800 692 0825. The Motor Code also runs a free conciliation and arbitration service, which could help to resolve issues with dealers. [Let us know](mailto:readertestteam@haynet.com?subject=delivery delays) if you're facing delivery problems. Tell us when and what you ordered, when you thought the car was going to be delivered and when you're now being told it will finally arrive.